A move by the National Labor Relations Board to modernize the way union elections are held may be delayed because of action in Congress. The NLRB released a revised set of union election and certification rules in December, 2014. The rules would streamline and modernize a number of factors affecting the way union elections are conducted. For example, it typically takes 38 days from the time a petition is filed with the NLRB until a union election can be held, but the new rules would shorten that time to less than two weeks. The revised rules were to go into effect on April 15, 2015. But on February 9, 2015, the House and Senate moved to stop the NLRB’s new rules, employing the Congressional Review Act 5, U.S.C. § 801. This allows Congress to review "major" regulations issued by federal agencies, and either pass or over-rule the new regulation. All 54 Senate Republicans have signed on to the resolution as sponsors or cosponsors. Sen. Lamar Alexander (R-TN), one of the leaders of this movement, said he believed that the rule allows a few workers to quietly organize for months before springing a petition on an employer, who must participate in a hearing eight days after being formally notified of the union activity. Congressional Republicans also asserted that “the new rule will deny workers their right to make fully informed decisions in union elections, ”according to a press release from the Education and the Workforce Committee, and that it would force employers to provide personal information to union organizers without employee consent. For the regulation to be overruled, the Congressional resolution must either be signed by the President, or passed by two-thirds of both Houses of Congress to overcome the President’s veto power. Supporters of the new rules in the House and Senate maintain that the NRLB update is a long overdue modernization of lengthy union election processes that allow management to delay the organizing campaign process. In a January 22, 2015 letter written to Mark Pearce, Chairman of the NLRB, Senators Sherrod Brown (D-Ohio) and Patty Murray (D-Wash.) and 14 of their colleagues said, “American workers gained the right to collectively bargain and unionize nearly 80 years ago, and out of these rights grew the American middle class. It is critical that we preserve these rights for the benefit of American workers and our national economy. Workers deserve to have a union representation election process that is free of stalling tactics and intimidation. These new NLRB rules will reinforce that right." 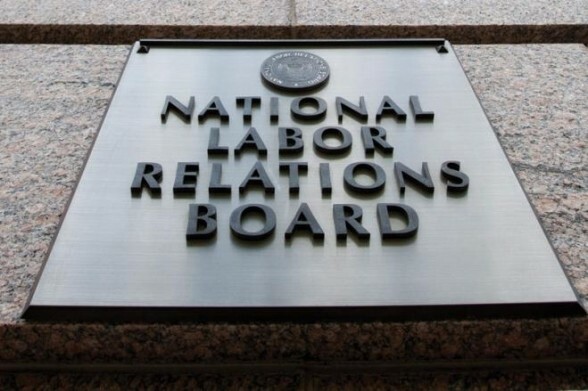 The resolution to stop the NLRB from instituting the new rules passed in the Senate by a vote 53-46 March 4, 2015 and is on its way to the House. For the regulation to be overruled, the Congressional resolution must either be signed by the president, or passed by two-thirds of both Houses of Congress to overcome a presidential veto. We do not expect that the resolution to stop the NLRB from instituting the new rules, but the resolution process may delay their ultimate implementation.